We're up to 15 and counting now. Ed Wood Music has launched their search, distribution and music licensing website on the Source Audio platform. 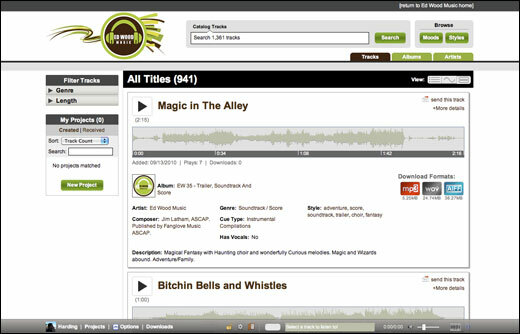 With 1,361 songs available for license it makes them one of our medium-sized catalog partners with super high-quality production cues for license. Check out their music right here ». More launches and announcements coming very soon! « What’s on the Roadmap?